Lilongwe Dairy is a Malawian family owned company engaged in the processing of milk and milk products. LDL currently has over 60% of the raw milk market share in Malawi and over 70% of the processed milk market share. The main suppliers for Lilongwe Dairy are the dairy farmers in Malawi. 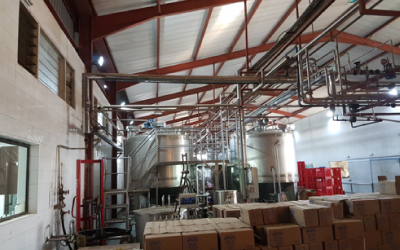 Lilongwe Dairy has not only made advances in the expansion of the processing plant but has also made significant improvements in the business relationships with farmers in the dairy sub sector. In addition to providing employment, the project supports local cattle owners by assuring them of a ready market for their milk. The project also supports non-traditional suppliers of milk by purchasing raw milk in surplus months when other local processors were unable to consume all the milk produced.